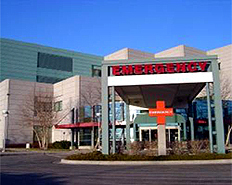 United Enviro Systems, Inc., has been providing superior services to hospitals and medical teaching institutions since 1982. We are Professionals who care about the services we provide. We are always looking for better ways to service our clients. We are easy to contact. Call our office and you will always talk to a real person who will quickly and expertly handle your questions no matter how simple or difficult they are. UES Inc. takes the guesswork out of properly disposing of your waste materials. We will sort, inventory, pack , arrange disposal options, transport and document all waste from your site. We can set up a regular service interval and help keep you compliant with the maze of regulations that must be met. United Enviro Systems Inc. Where our Values are Valuable to you. We are large enough to handle all your needs and small enough to give you the personalized services your expecting and more. Lab pack services Sorting and packing of compatible materials for the safest and most cost effective disposal options available. We are committed to safe work practices, protecting us and your personnel. Identifying Unknowns Testing of compounds for DOT and EPA characteristics to enable proper transport and disposal. Reactive Handling and Disposal Picric Acids, Ethers and others form explosive peroxides with age or improper storage. We can safely handle and deactivate the hazards to make your workplace safe. Pharmacy Wastes Secure Destruction of Narcotics and OTC drugs. 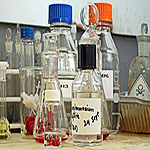 Chemotherapy Drug Waste Several Chemotherapy drugs are regulated by the EPA. Make sure these materials are disposed of properly. Mercury Device Recycling Thermometers, Spygmonmanometers, etc.